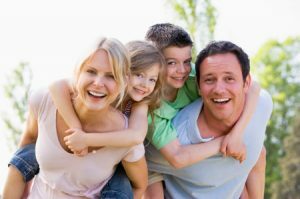 Personal, family, and company dental insurance for NJ and NY. Maintaining proper oral health is critical because it affects your physical appearance and self esteem. It can also impact your overall health and quality of life. According to the American Dental Association, poor oral health can cause serious consequences, including tooth loss, infection and damage to bone or nerve. Infection from an abscessed tooth can spread to other parts of the body and, ultimately, may even lead to death. In addition, cavities and gum disease may contribute to major conditions such as diabetes and respiratory diseases. Even missing and crooked teeth can hamper your wellbeing because they make it difficult to chew and digest food properly. Oral health can also be affected by cannabis (marijuana) smoking, according to a recent study published in the Journal of the American Medical Association. A New Zealand-led research team found that young adults who were regular cannabis smokers had a higher incidence of periodontal disease by age 32. Researchers found that regular cannabis smokers (at least 41 occasions during the previous year) were three times more likely to have significant periodontal attachment loss than non-smokers of cannabis. Dental insurance makes it easier for individuals to maintain good oral hygiene and health. Insurance benefits can reduce the cost for receiving dental care for routine and serious conditions. Research has shown that patients with dental insurance will seek out required care on a far more regular basis than those without coverage. That’s why it’s essential to have adequate dental insurance coverage. The typical dental insurance plan covers 100 percent of cleanings, exams and annual X-rays. Extractions, certain surgeries and emergency care are also fully covered under most insurance plans. However, most plans pay only 50 percent of the costs for root canals, crowns, bridges and other more comprehensive procedures. Cosmetic procedures, normally, aren’t covered at all. Let Carrera Brokerage help you identify the best dental insurance solution for your needs.